What are the Taxes on Bitcoins? America has always rewarded cleaver and unconventional ideas and the anecdote that follows is a good example of that. It was another hectic Saturday in college football. A fan held up a sign saying, “Hi Mom, send” a Bitcoin logo and QR code for his virtual wallet. ESPN cameras captured the sign, the QR code was scanned, and suddenly donations started to pour in. In minutes the fan received over 22 bitcoins that were at the time valued at $1,100.00 each earning him instantly $24,000. 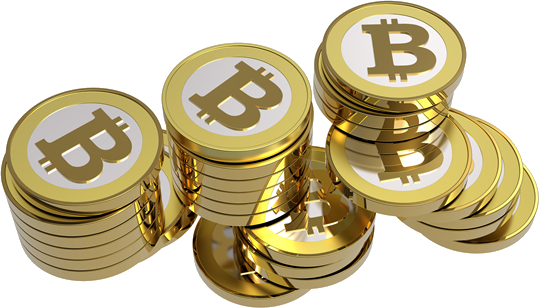 Bitcoin is a virtual currency created by computers solving various mathematical problems; the creation process is called “mining.” There will be a finite number of Bitcoins created and the fact that they can be easily and anonymously exchanged has helped its popularity not to mention that it’s harder by the governments and central banks to manipulate them and influence their value. What happens if you profit from Bitcoins? There’s been a debate whether or not gains on Bitcoins are taxable and despite a division of opinions the most logical answer is yes. As of today the IRS has not taken a stand on Bitcoins but it can be safely assumed they fall into broader category of income as described by the IRS. Bitcoin community argues that the virtual currency is not backed up by any government, it’s stored in virtual wallets, and not part of a banking system. It’s small scale and following by enthusiasts rather than masses are two more reasons. Regardless of all the above a gain is a gain. Once Bitcoins get expressed in dollar terms, or other currency, the value is precisely measured. There’s been a growth of businesses that accept Bitcoin payments and at the end of the day all inflows are expressed in dollars making it simple to determine the bottom line. Individuals who trade the currency determine gains or losses once they sell the investments. Trading gains are taxable just like gains on security investments and should be reported on income statements. Bitcoins coverage by media has been as fickle lately as its price. Nevertheless more governments are taking a look into its operations, most recently China. It’s drawn attention of business owners and politicians and it’s only a matter of time before the IRS addresses the virtual currency officially. Make sure you don’t end up filing Form 1040X and file your taxes correctly in the first place.